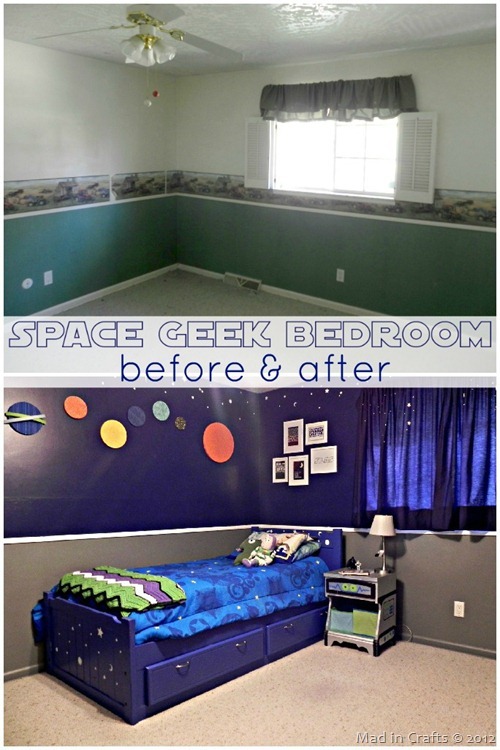 Jessica H. e-mailed to thank me for my geek cred post last week, and mentioned in passing that she recently did a "Super Space Geek Bedroom" for her 4-year-old son. Naturally, I had to check this out. And, you guys! LOOK AT THE CLOSET! A glowing Death Star beside a TARDIS closet. Be still, my heart. Head over to Jessica's blog for lots more great detail shots (I love that nightstand!) 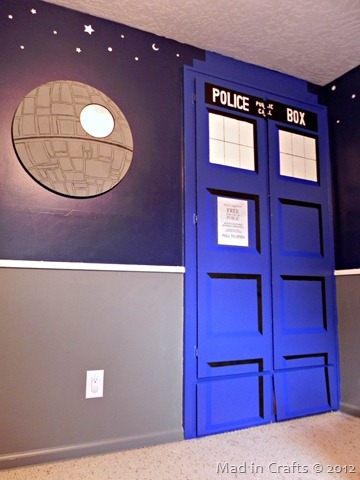 and even a tutorial for the TARDIS closet. The back reads, "The mission was to bring down the rebel’s shield generator, not fall in love." Hee! You can get yours at the UglyBaby Etsy store. 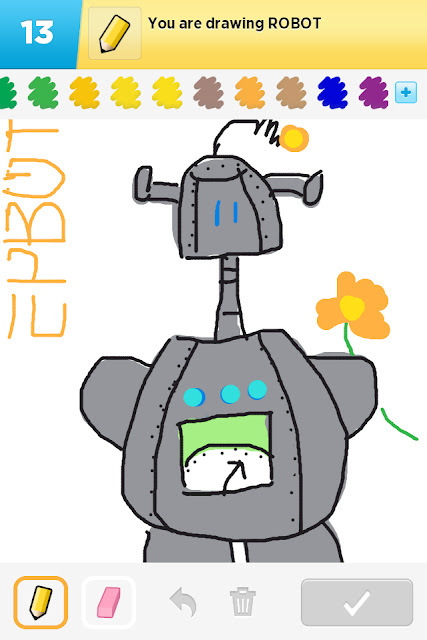 You know you've made it in the world when someone uses you as an answer in Draw Something, right? WOOOHOOO! Thanks, Sarah A.! And great job! Love the Haunted Mansion pic! I agree, the candid poses are better. Okay, the space geek room? Awesome. And the video, you were so right about the 1 minute mark! LOL That was great. I LOVE the Satie music he used for the vid! This was funny - I'm gonna show my hubby this too. I also like the craggly tree in the background of the candid shot better! That shot of the closet - the TARDIS and the Death Star - sums up my entire childhood. Awesome. @Jessica, I'm loving that nightstand and closet! Great job! Jen, is Disney remodeling the Haunted Mansion or something? I think I missed the story on that. 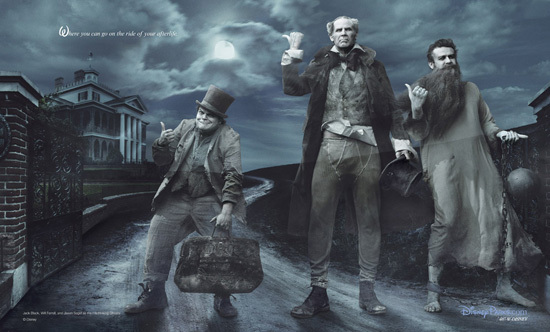 @ Marnie - The Haunted Mansion shoot is just part of the on-going Annie Liebovitz/Disney celebrity series. If you haven't seen the other photos, you MUST go google it now! They're fabulous, and so, so fun. 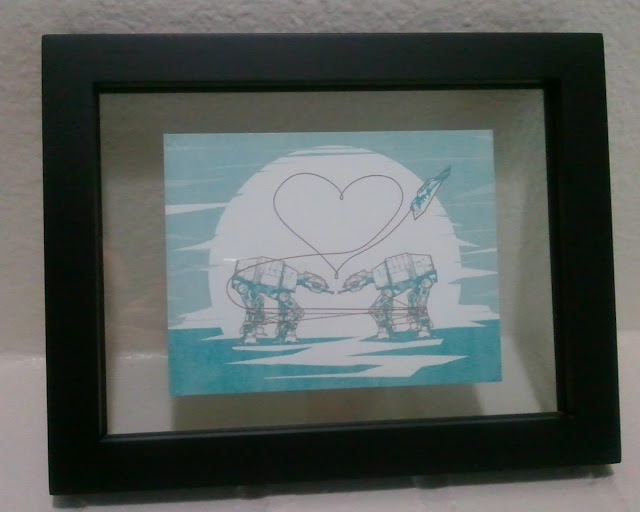 Thanks so much for posting about my AT-AT Love postcards. You're great! That space room is awesome. And you're right, the Yelp review video was kind of awkward at first, but also really amusing. Thanks for the giggles Jen!